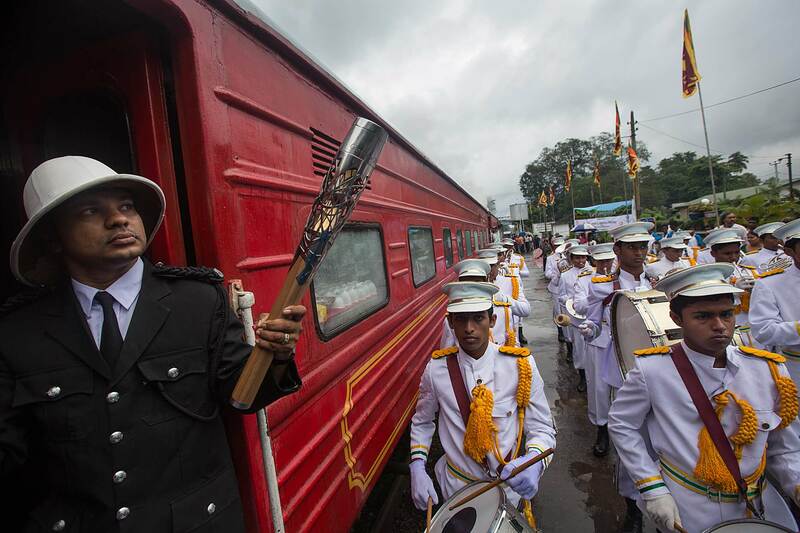 Head station guard of 20years, Rukmal Banbara, holds the Queen's Baton as it journeys from Colombo to Kandy on the Viceroy Special steam train, in Sri Lanka, on Sunday 20 October 2013. Sri Lanka is the fourth country to be visited during the Asian leg of the baton's journey through 70 Commonwealth nations and territories. Photograph by Jeremy Sutton-Hibbert, copyright © Glasgow 2014 Ltd, 2014.